Ultimate Jerk Centre & Rest Stop! 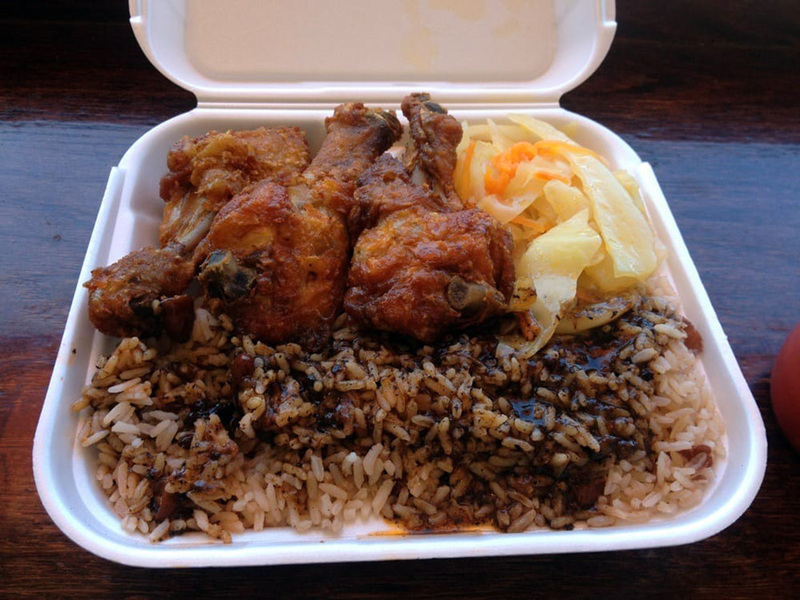 The Ultimate Jerk Center specializes in Boston style jerk. 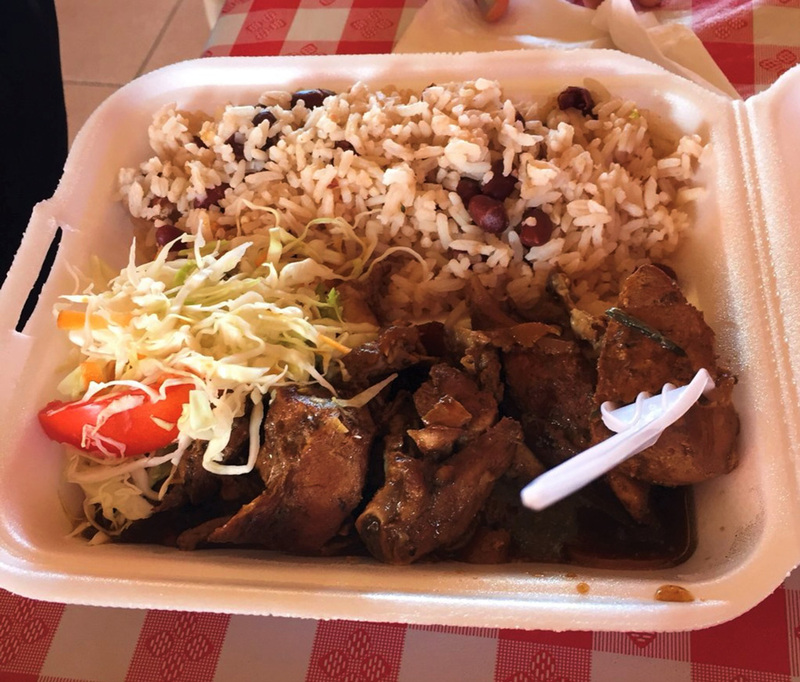 On top of jerk chicken and pork, the menu is also filled with Jamaican classics such as curry goat, brown stew chicken, and more. 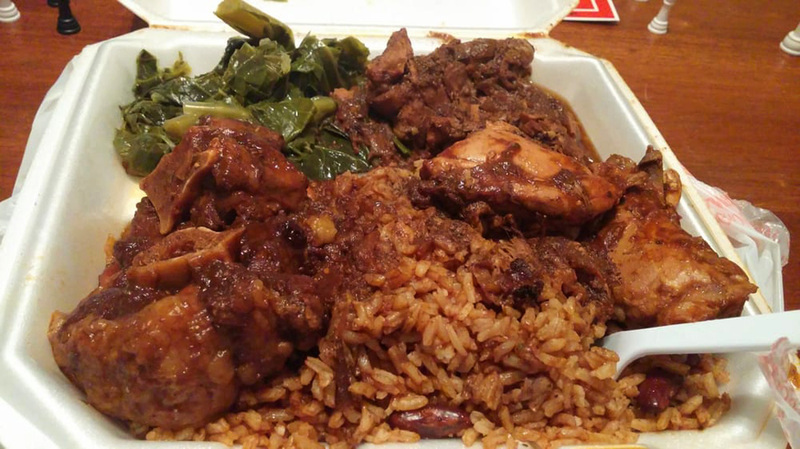 Ultimate Jerk Center is a grill where they proudly serve their take on Jamaican cuisine. The style of dining and service here is considered to be very casual. 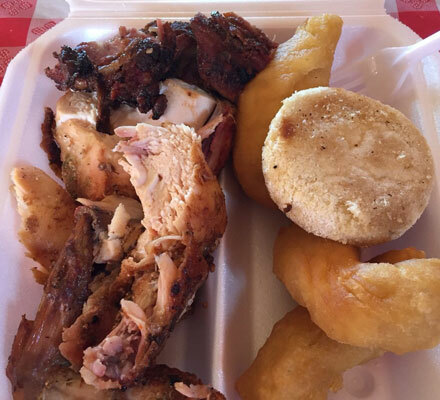 This location serves food for both dinner and lunch, so why not stop by? Many people end the night here after attending balls and events at other places. Old Hits night is held on the last Saturday every month at the Ultimate Jerk Center. No cover. 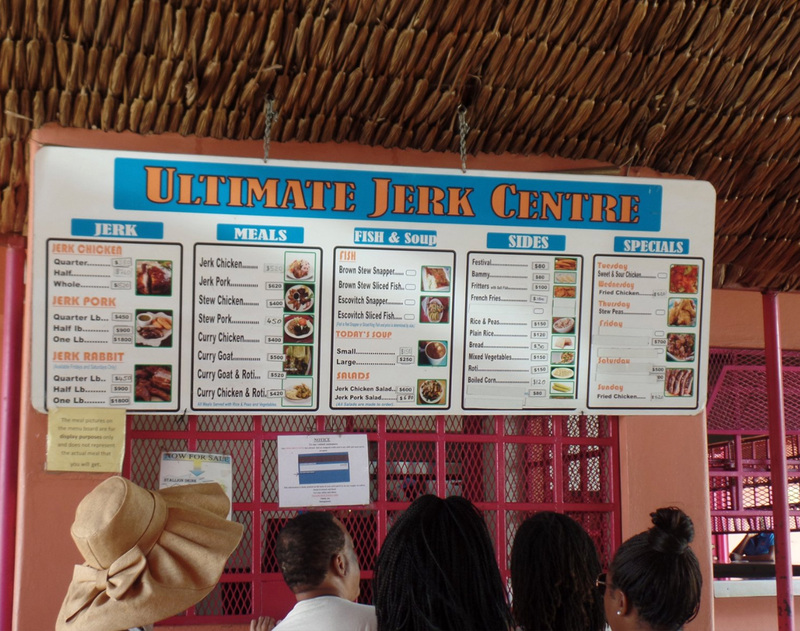 The Ultimate Jerk Center & Rest Stop is open Sunday - Thursday 8:30 a.m. to 10:00 p.m. and until 12:00 midnight on Friday and Saturday nights. Located near the heart of Discovery Bay. It is on Main Street. For guests who plan on spending time in and around Runaway Bay, this dining establishment can be found to the west of town. 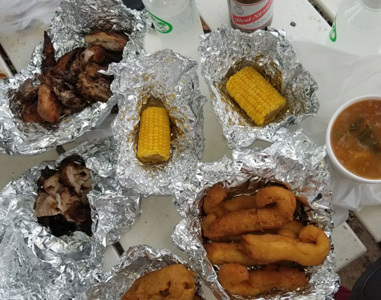 Vacationers seeking to merge their visit to the restaurant with some local sightseeing possibilities should think about heading to Green Grotto Caves. There are a number of convenient outdoor pursuits and other activities to try if you're waiting for sunset. 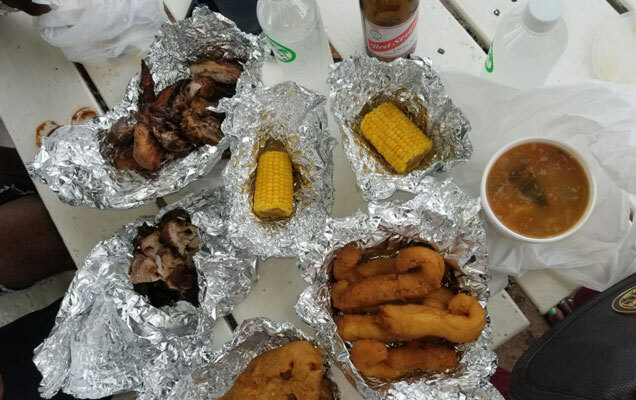 Golfers who've only dreamed about playing in such a beautiful location might want to hop over to this restaurant's closest located golf course, Runaway Bay Golf Course, which is located within traveling distance of Ultimate Jerk Center. 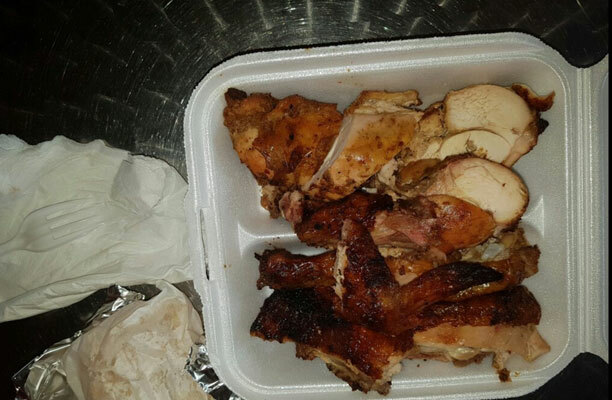 Jerk chicken was tender, smokey and fall of the bone type. The sauce the gave is to die for. We would highly recommend this place. This is fantastic jerk don’t miss it. © 2018 Ultimate Jerk Centre All Right Reserved.